We had tuned into the USA’s World Cup second round game against Belgium on the drive to Boston and arrived at our quaint little Airbnb cottage in Cambridge just as the first half ended tied 0-0. We quickly unloaded the “Escape Mobile” and headed two blocks to Massachusetts Avenue to find a bar and watch the second half of the game. We ran into an Irish pub immediately, but were turned away because it was at maximum occupancy. No problem, just a block away we found The Middle East bar and its proprietors did not seem concerned with such bureaucratic codes. Trey and I inched through the doorway and found sitting space with adequate view of the television on the end of an elevated platform that may have served as a stage at one time. We cheered, chanted “U-S-A,” moaned, and drank beer with the lively young crowd. Great fun, but a sad ending to a great match and a great World Cup run for the U.S.
After finishing our beers, we walked to Fenway Park to watch the Red Sox play the Chicago cubs. 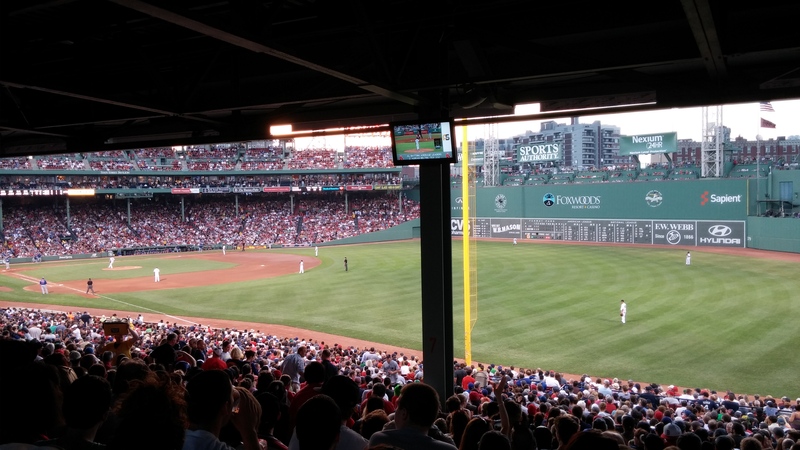 We’d booked several baseball games along our journey to see some of the different stadiums, and legendary Fenway was definitely a must see! The Red Sox didn’t win, but it was great to see the stadium, and to watch the dedicated fans. 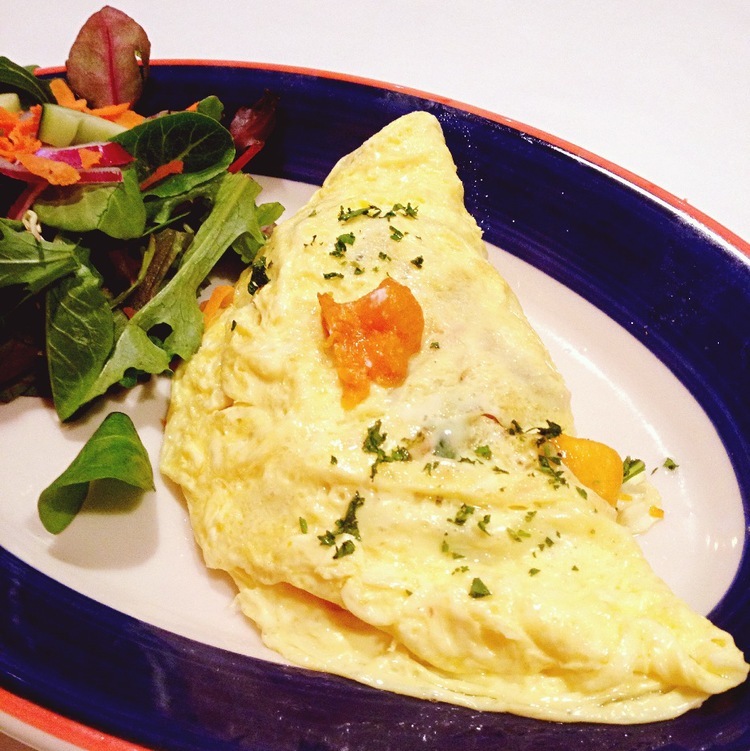 The following morning we had a fabulous brunch at Café Luna on Massachusetts Avenue – very fresh food, unique combinations and overall delicious! After stuffing ourselves, we decided it best to use the remaining day to rest as Trey was fighting a cold, and we both needed some travel recovery time. 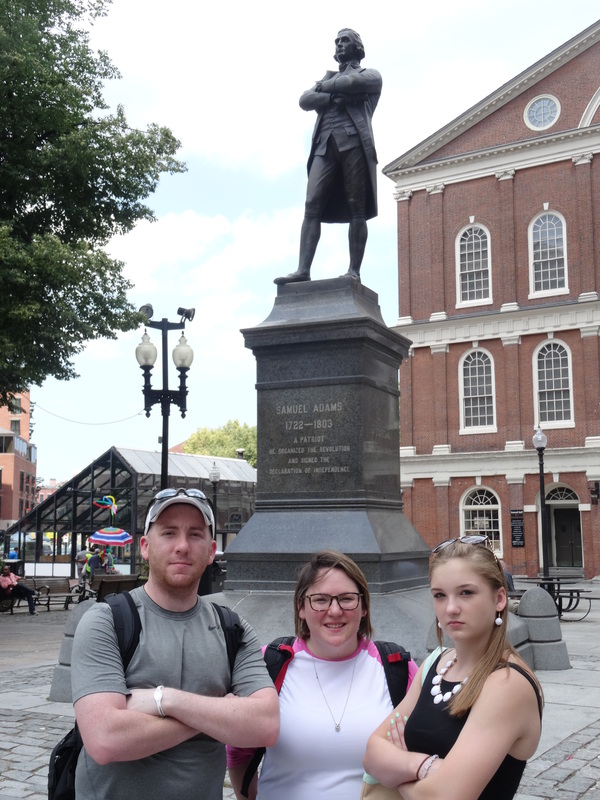 The best part of our Boston visit came on Thursday, when we met up with family who had arrived late the prior evening for vacation. 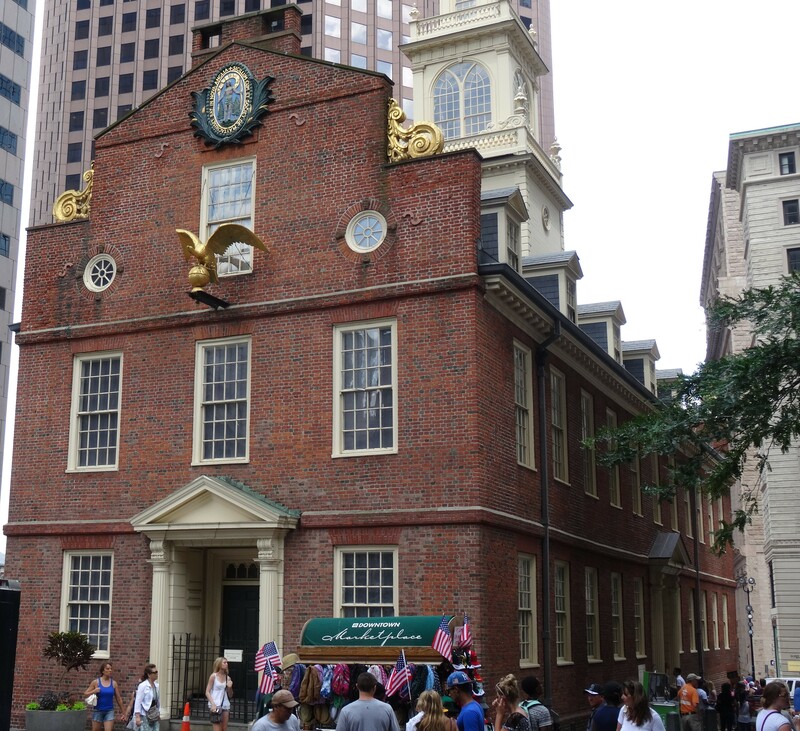 We met at a subway stop and then rode together to the Boston Commons, the first public park in the U.S. and the first stop on Boston’s Freedom Trail – a self-guided walk that winds through the heart of Boston and by historical landmarks relevant to the American Revolution. 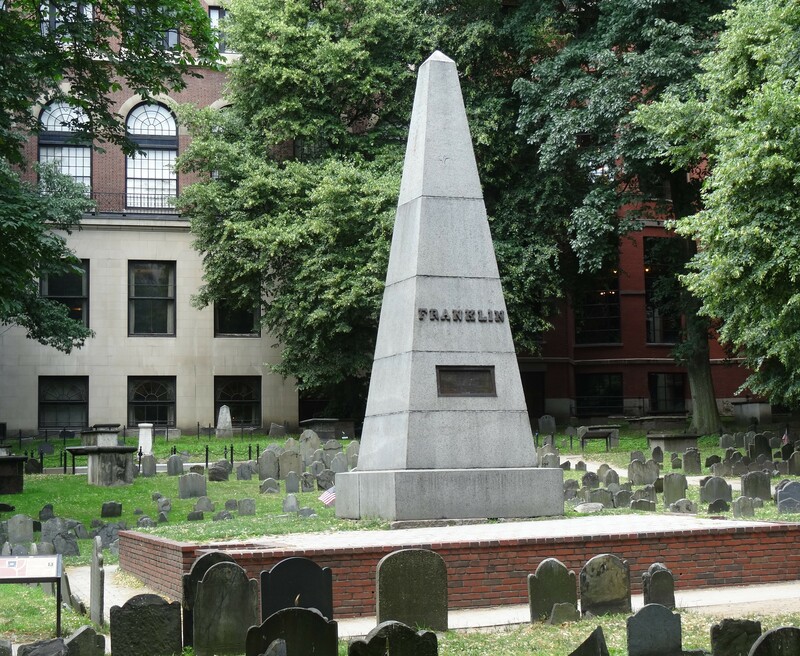 and the Granary Burying Ground where John Hancock and two other signers of the Declaration of Independence are buried: Samuel Adams and Robert Paine. It was the second hottest day we’d experienced on our travels at that point and fortunately, to date. 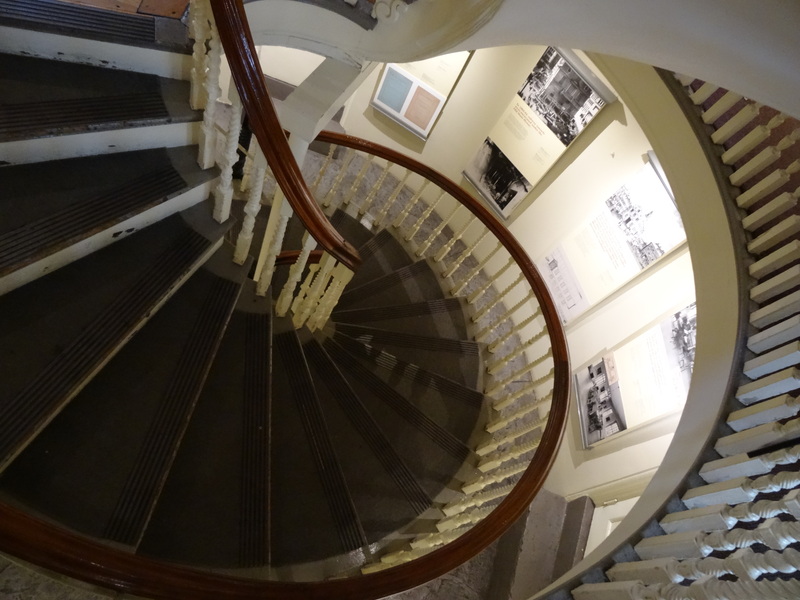 We came to our senses after cooling off over a beer in a small Irish pub and decided take a tour bus to visit the remaining landmarks on the trail. 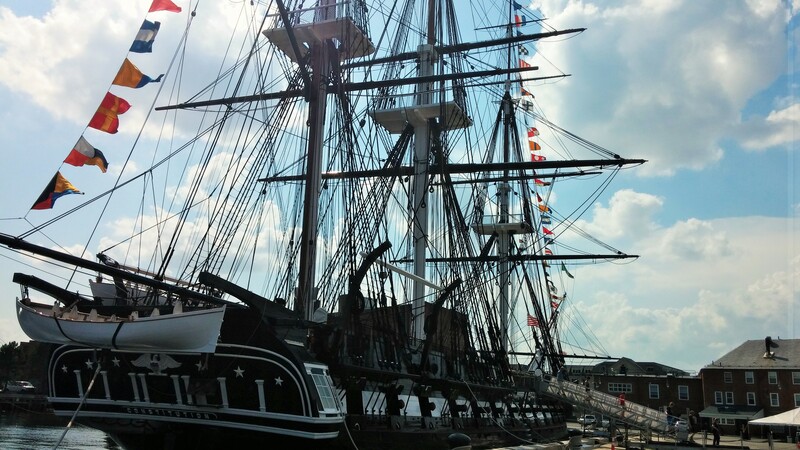 Our visit to the USS Constitution was well worth the stop and walk in the heat. It is a beautiful ship and in amazing condition. 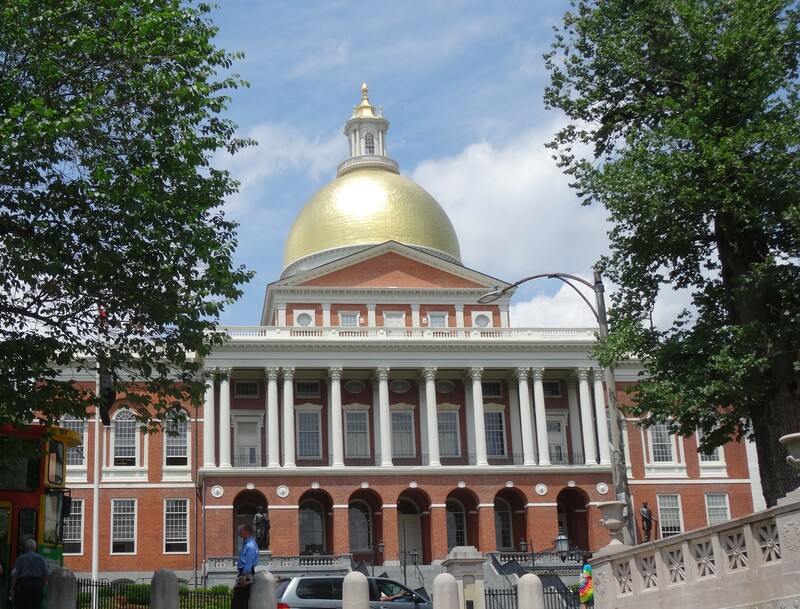 Although it was commissioned after the American Revolution, it was used to battle the British in the war of 1812. Having never lost any of its 45 battles, it is the oldest actively commissioned U.S. naval warship. 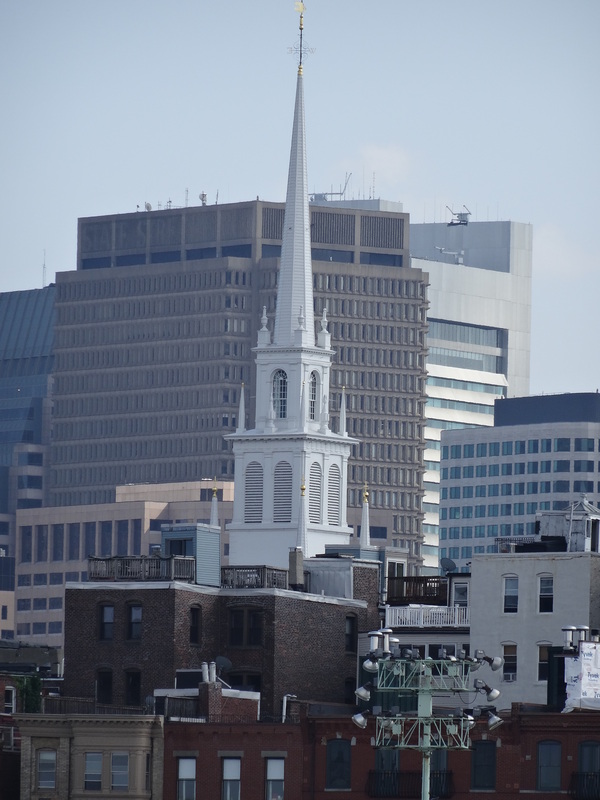 We only saw the steeple of the North Church (where Paul Revere instructed two lanterns be hung to communicate that British troops were traveling by boat via the Charles River), but you can see it from many vantage points around Boston. 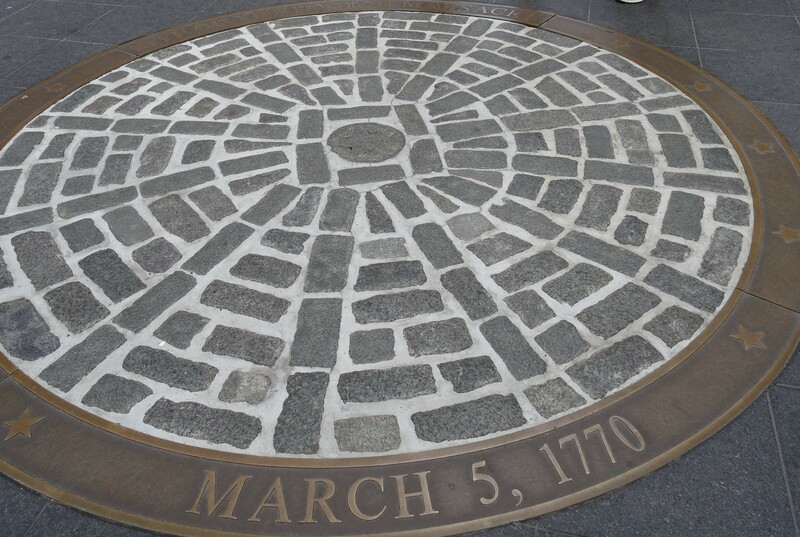 It is easy to see why the revolutionaries chose to use it for such an important task and I think it could be utilized the same way today. 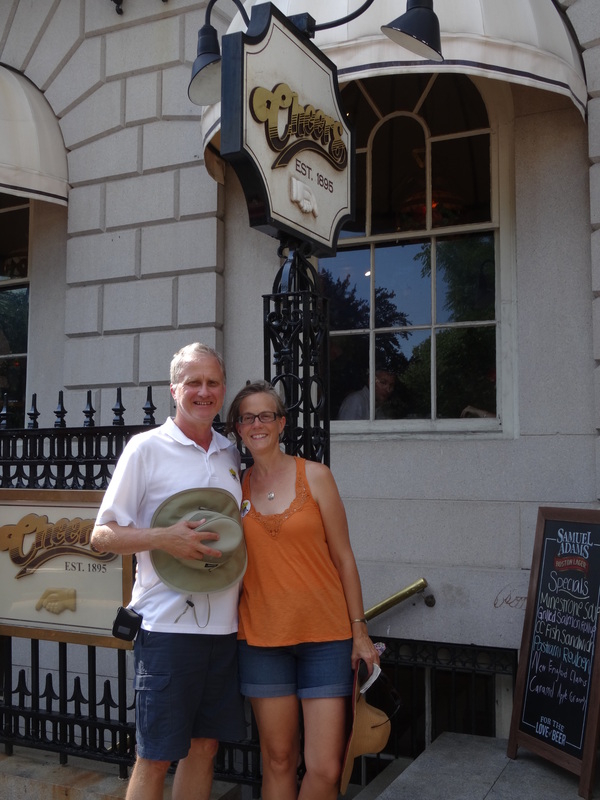 The tour back to the Boston Commons area took us by the original “Cheers” bar – probably the least historical place to visit in Boston, but we couldn’t help ourselves. We were all grateful to our nephew who located a highly yelp-rated restaurant for us to re-fuel within walking distance of our final stop. 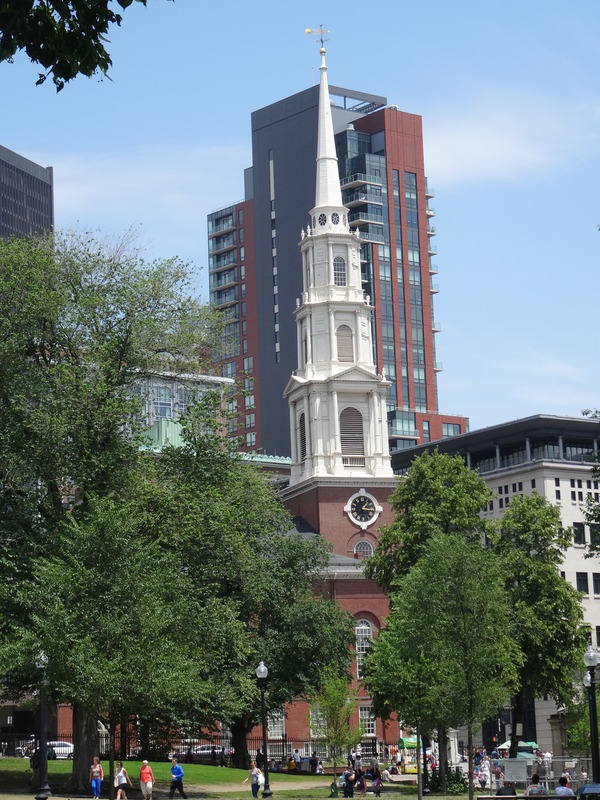 We had a wonderful time at the Paramount Restaurant on Beacon Street sharing our experiences, and enjoying each others’ company and a great meal. 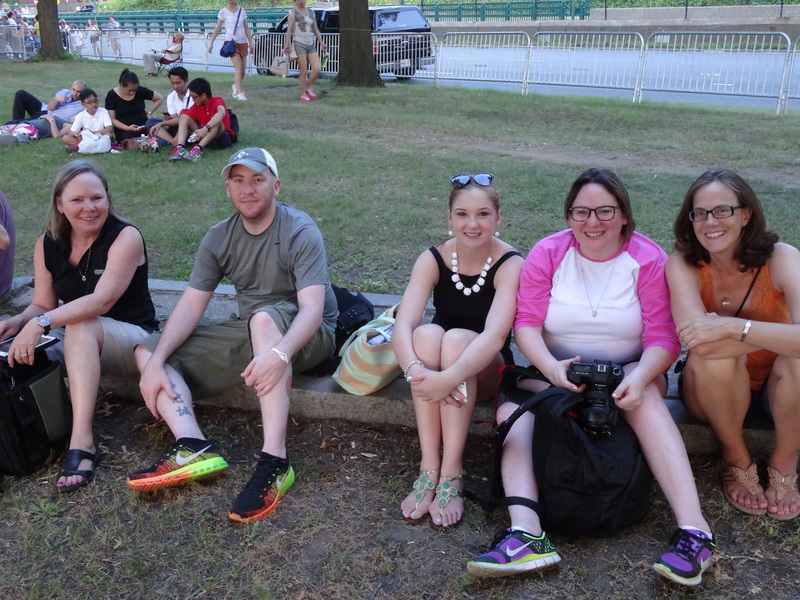 We headed to the banks of the Charles River following dinner, as city officials had announced that the famed Boston Pops 4th of July symphony and fireworks show would take place an evening early due to the expectation that Hurricane Arthur would blow into Boston on the 4th. However, it had already been a long day, we found out that the fireworks were not to start until 10:30 p.m., and then my nephew was stung by a bee – we took the later as a sign that it was time to go. After saying our good-byes, we boarded the subway and headed back to Cambridge. 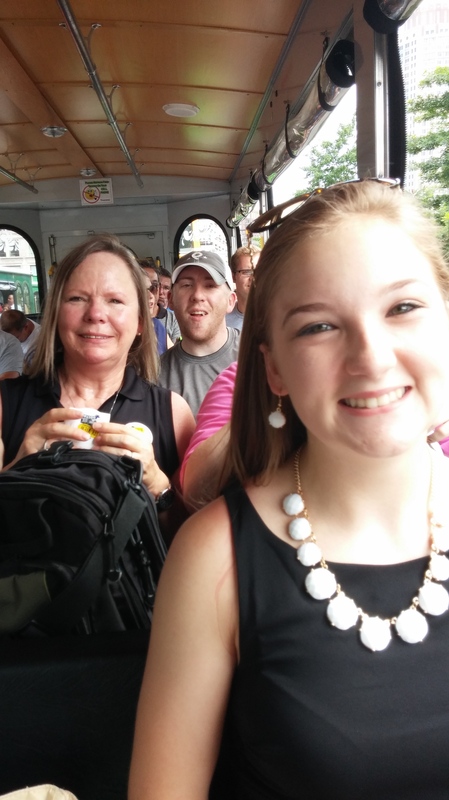 Although we were in an amazing setting, it was the fact that we were spending time with loved ones that made our last day in Boston such a special day. It turned out that fate was actually on our side because just as we arrived at the cottage, the skies opened up with thunder, lightning and pouring rain – a sign that Hurricane Arthur was nearing. We were very grateful in that moment that we were no longer with the thousands of others standing on the banks of the Charles River. 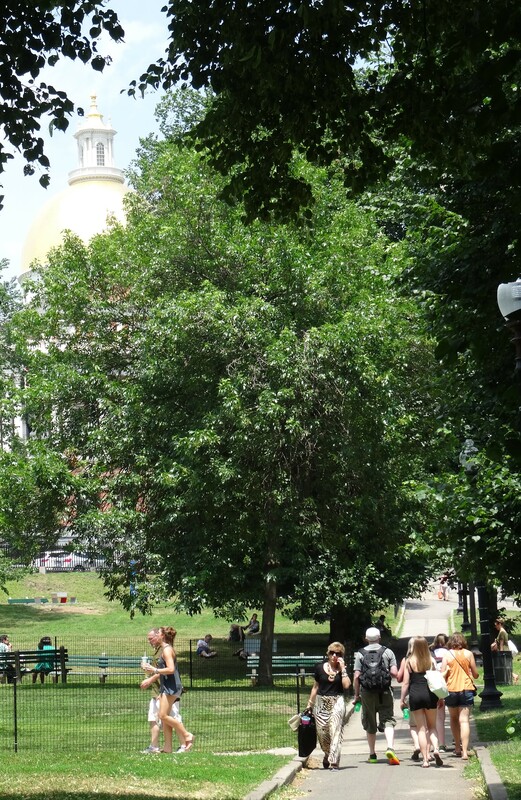 As with every place we have been, we had hardly scratched the surface of places to see and things to do in Boston, but it was time hit the road to Maine and Acadia National Park.